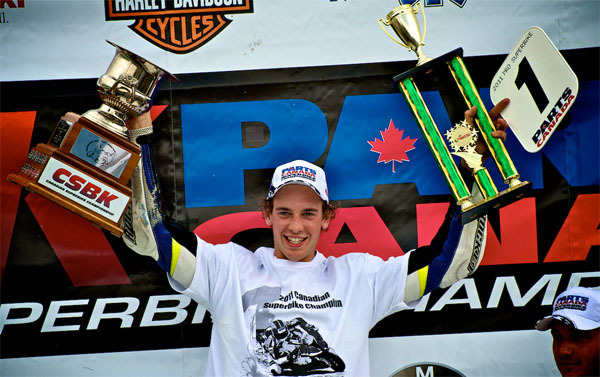 (TORONTO, ON / FEBRUARY 2, 2012) One of Canada’s best known motorcycle racers and journalists has come home, as former road race champion Andrew Trevitt has joined the roster of Inside Motorcycles magazine. TORONTO, ON (December 9, 2011) – Frontline CSBK Inc., organizer of Canada’s National motorcycle road racing series, is excited to announce that Chrysler Canada’s Mopar® brand is the new title sponsor of the 2012 Canadian Superbike Championship. TORONTO, Ont. – The countdown is on to the debut of ‘Parts Canada Motorcycle Mania’ on radX Monday, November 7, at 8pm EST. ‘Parts Canada Motorcycle Mania’, sponsored by BMW Motorrad Canada and Deeley Harley Davidson, is a two and a half hour block of dedicated motorcycle racing coverage on radX each Monday night at 8pm EST. The two wheeled programming window includes High Definition of coverage of the Canadian Superbike Championship by Parts Canada and the second season of the award winning documentary series ‘Ultimate Superbike’. TORONTO, Ont. (August 21) – Canadian Superbike Championship title sponsor Parts Canada has also been confirmed as sponsor of ‘Motorcycle Mania’ on the High Definition radX television network this fall.